In various restaurants throughout the city, Zürich Card holders ordering a main course are treated to a culinary surprise. Whether an aperitif, chocolates or a dessert – be prepared for a delicious surprise! You can find all the Zürich Card restaurant partners here. Here guests can enjoy delicious classic Swiss dishes surrounded by beautiful scenery. Gratin specialties and creative, seasonal culinary delights directly next to the Main Train Station. The cult locale, Bierhalle Wolf, brings an Oktoberfest beer festival ambiance to Zurich’s Niederdorf quarter. The Sprüngli Café & Restaurant has been a popular meeting place in the heart of the city since 1859. 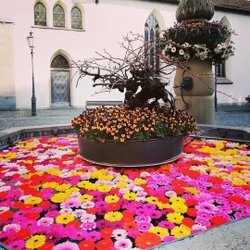 The world’s first vegetarian restaurant is located in the heart of Zurich, near the Bahnhofstrasse. Hiltl on Langstrasse features space brownies, a Bicycle Drive Through, and graffiti-sprayed walls. 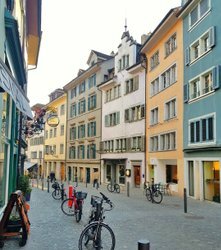 Here urban explorers can find some ideas on how to experience as much as possible in Zurich in 24 hours. Three-day itineraries for families, culture lovers, and inquisitive urban explorers. 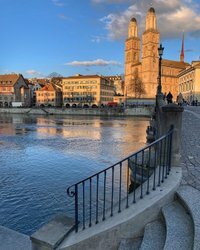 You profit from unlimited travel by tram, bus, rail, boat and cable car throughout the city of Zurich and its surrounding area.